ITT Speed modeling requests - It Just Bugs Me! So for practice I thought I'd take requests so as to what 3D model. I'll decide on a set timeframe later. No fire (small flames okay). No characters doing complicated poses. All images textures taken from a photo are from cgtextures.com unless stated otherwise. hum-de-dum mumble mumble anime-style personification of Venezuela. I smell a new rule appearing. A W.S. 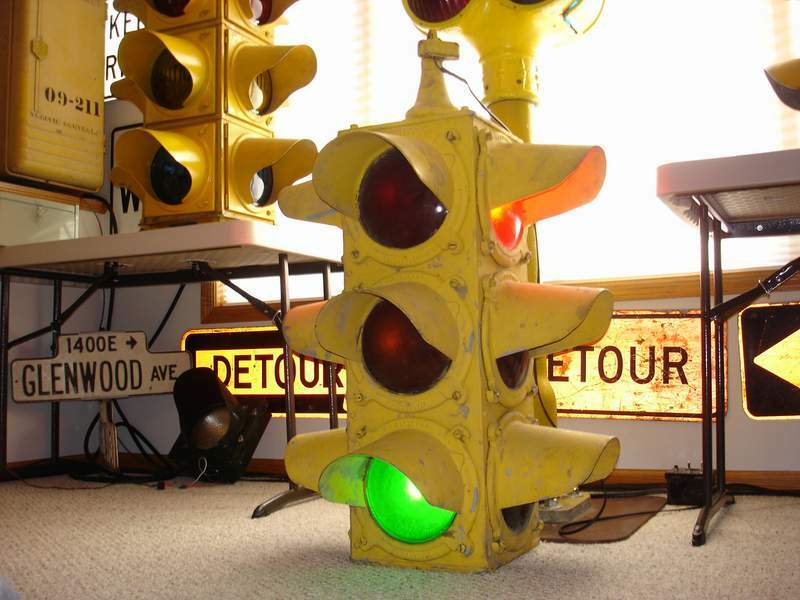 Darley & Co. 4-way traffic signal! Maaaaan, I forgot how to make hands. Boba Fett on a bicycle. ^^, ^ Then how about a remake of that scene from Revenge of the Sith, Count Dooku from Anakin's point of view? Alright, I'm done with Gacek's request, you know, the one about making an anime-style personification of Venezuela and absolutely nothing more than that. Ain't that right? So... Vene-chan is done. Special thanks go to this ZiroRex person whose picture I used as reference and design, and whoever those background homes belong to. The real-life basis for the clothing is from this. Maaaan, I only just now noticed that shadow. 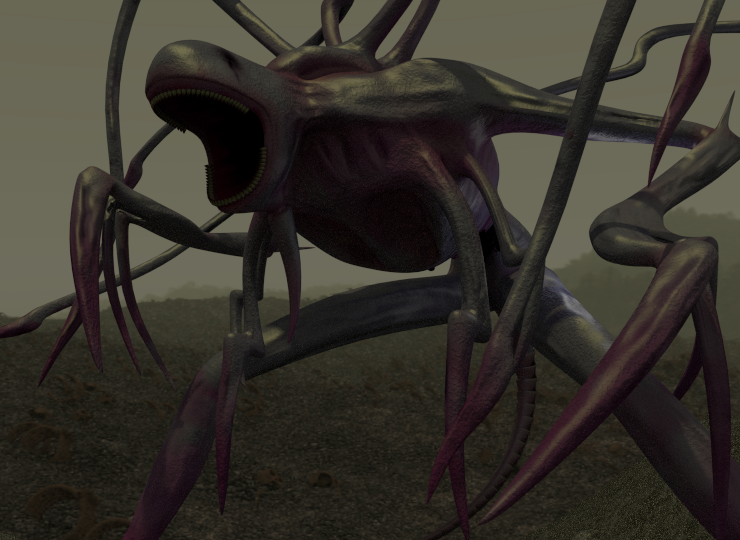 Work time: approximately 14 hours, not counting final renders or last minute details... so that wasn't speedy at all. Oh well, practice makes perfect. Next is the street signal of a generic and unimportant model. That should take much less time. ^^ I don't remember whether you mentioned which program do you use. Which one it is? 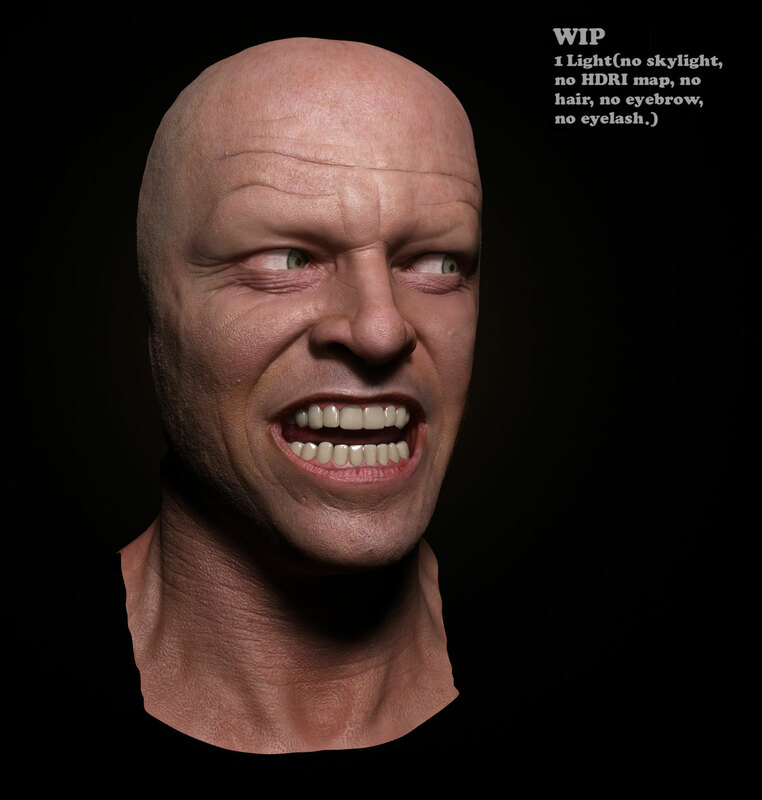 Oh cycles renderer, you're so simple and versatile, but you're too slow and you randomly messed my texture mask. Work time: approximately 5:15, not counting the very lengthy render times. I've got the feeling speed modeling is less about being fast and more about resisting the temptation to add bump maps and such, but they look so cooool! Rust texture from cgtextures.com, assume all further "real" textures come from there unless stated otherwise. Next is Boba Fett on a bycycle, I expect that one to take much longer than the others, though. I think the foreshortening is a tiny bit off...it seems that the light "expands" toward the camera rather "fast" given how big it is. Not saying it doesn't look good -- it does! Just wanted to say something constructive. Edit: Now that I look at it again it seems okay. ^^ You're right. It didn't look off when it didn't have a background, so I didn't notice that. Somebody should suggest a Star Trek thing in response to the Boba Fett one. I thought making those baggy clothes would be hell, but it was much easier than it seemed and it was, in fact, very fun to do. On the other hand, the rigging was as annoying as I remembered. Also, I hadn't noticed until now, but Boba Fett does have a really cool design. No wonder he's popular. Boba Fett: 15:15, a good three hours of which were spent on character rigging. Corridor scene: 1:10, mostly spent on quick test renders. Total time: around 26 hours. Might as well change the thread's title. New rule: No semi-realistic organic characters doing a "complicated" pose. If you don't mind, I'll skip this one, at least for now. 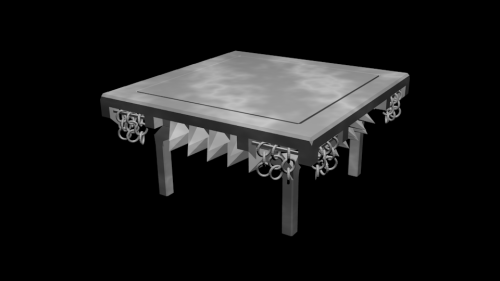 I re-learned how to make hands and after all that I kinda feel like making something simpler such as that table. I don't mind, that was just a loose suggestion of something Star Wars-related that didn't involve hands. By the way, the Fett is impressive. I am not providing further requests in fear of coming up with something like the first one. I thought it was pretty bad, actually, couldn't get the shaders to not look too plastic-like. And you don't have to refrain from requesting stuff, it's just that said request doesn't have to... you know. Work time: 1:25 for the chains version, plus around 25 minutes to convert to the rings version. Cool. You could make any 9x9 chamber into a Legendary Dining Room with that thing. The dorfs shall be pleased. ^ You know what, now making the rest of that Legendary Dining Room might be a fun idea. Engravings of cheese and all that. Work time: Around 9 hours (not counting the original table). They say it's very hard to make food that looks edible, so I was tempted to make a "no food". I'm glad I didn't. Although some stuff didn't turn out well (visible floor seams, the plates look identical, etc.) and I gotta work on some of these textures (for some reason they look better from up close), I'm very pleased with the results. I didn't really know what else to put in a Legendary Dining Room, I only played Dwarf Fortress for a while, learned the basic stuff in like a week, built a shitload of farms, rooms and chairs and didn't know what else to do so I stopped. Maybe I should play it again. Bread texture (and pretty much everything else about that bread, really) comes from one of Andrew Price's tutorial. Great tutorialist, by the way. Notes to self: Don't work small, work on a realistic scale. It's alright to use smaller images for UV mapping if large ones lag. Edit: More notes: Don't forget to set all relevant lights to cast shadows, damnit. Work time: 13 hours according to the on-screen timer, plus 4-5 hours worth of crashes and troubleshooting. Good heavens why had I not used partial preview before. Weight Paint can be applied as gradients. Dynamic topology increases poly number drastically, make sure it won't crash. 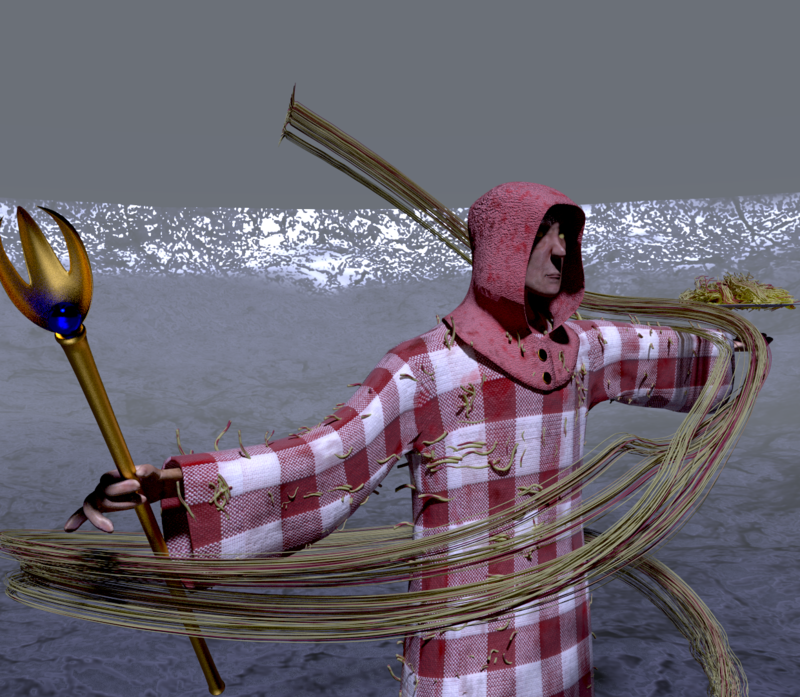 A wizard surrounded by floating plates of spaghetti. 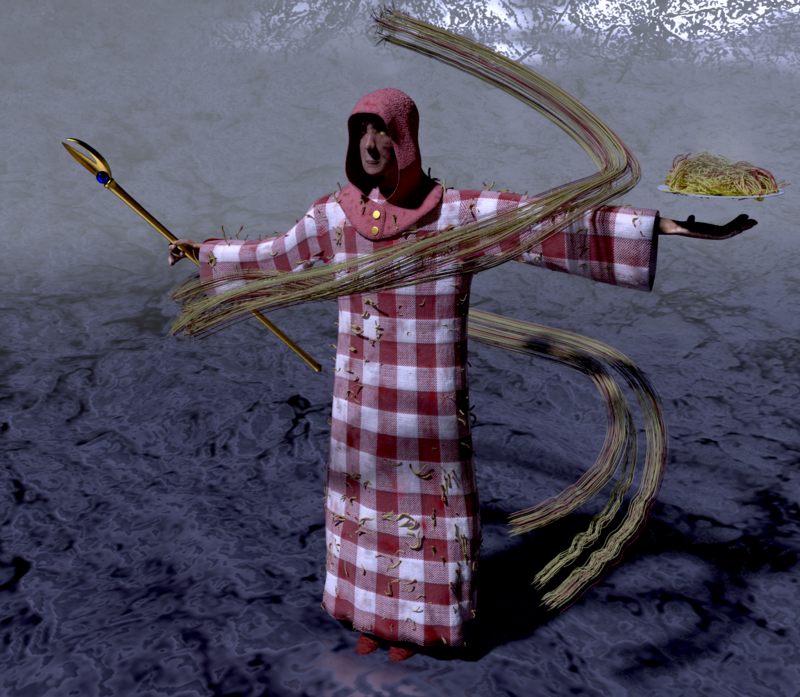 Or just something that involves a magic user and pasta. Whoa that obliterator is sweet. Boy, did this one go awry. After I finished the mesh and as I was trying to get a decent semi-realistic shader to no avail, it occurred to me to do realistic face/hands, a daring idea since I have a hard enough time making stylized characters as it is, anyhow this meant I had to shelf some stuff I had done, and had to adapt someone's face to my mesh. The result wasn't realistic, but it turned out more appealing than what I'd have gotten otherwise. Although it turned out that after putting the hood on even a recoloured default shader would've looked okay. Now that I'm seeing the final renders there are also a couple things that need fixing such as pixelated ground, the top end of that spagghetti swirl, fingernails being unnoticeable, etc., but besides that I'm pleased with the result. Thanks to this dude for lending his face. And whoever those hands are, probably should've copied down the URL. Oh, yeah, one thing, since I'm no longer working on a laptop stuff will turn out better from now on. New de-rule: Fires are now ok.
Use textures to be projected from as reference for everything, and use multires if sculpting off of it.